Savory's Kitchen in Midtown. Photo Courtesy of Gabrielle McGovern, WFUV News. New York City's home to thousands of sit-down restaurants, but a growing number of eateries won't take walk-ins or reservations. More New York City restaurants are ditching the traditional brick and mortar to specialize in delivery. That means they have no dining rooms, operate out of a large, single kitchen, and their food can only be ordered on the phone, online, and on mobile apps. Two of these are Ando and Savory. Serena Dai, a News Editor for the website Eater NY, said restaurant owners are looking for new ways to make their businesses profitable. "The restaurant industry is really difficult and it has notoriously low margins, so people are always trying different and new things. Delivery is a huge part of the way people eat in New York City as well," said Dai. The company Ando was formed last year. It has kitchens in Midtown and Downtown Manhattan and specializes in delivering second-generation American food. Ando's Head of Experience, Anoop Pillarisetti, said Ando's founder David Chang owns the brick and mortar restaurant chain Momofuku. Pillarisetti said Chang seized on the demand for delivery food to try something new. "It was seeing a trend that was emerging. There is a way to kind of build a compelling ordering in our face on a mobile phone or on a computer. A vast majority of people now walk around with these things in their pockets. It just made sense for us to try it out," said Pillarisetti. Like Ando, Savory also saw a market for more fast and convenient food. 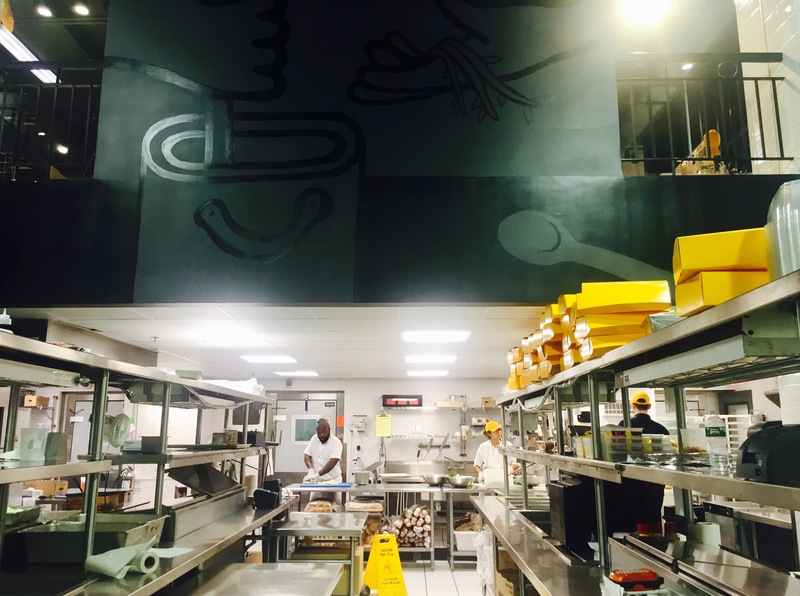 The delivery-only restaurant, which launched in 2011, caters a wide variety of foods to offices. Savory's Partner, Jose Fuentes, says the kitchen's size of 10,000 square feet allows them to complete tens of thousands of orders per day in a timely manner. "The volumes we can produce, again we're making delicious food, delivery at the right time and right place, that is something that we can achieve that the traditional restaurant can't achieve," said Fuentes. Bronx resident Alex Bain said he's attracted to the convenience of the city's delivery-only restaurants, specifically one that's actually called Delivery Only. Bain said he can rely on it for its fast delivery time and accuracy. "A lot of the times when these restaurants offer take out or delivery, they either mess things up or they have so much going on that the delivery guy is late or by the time you get your food, it's lukewarm. So that's what I like about this. Their only focus is delivering your food," said Bain. A 2016 business consumer report projected the delivery only business model will more than double in the next four years.